A federal watchdog group is telling the State Department — again — to prioritize the safety of its diplomats overseas by fully implementing several recommendations to address significant security gaps, particularly for soft targets such as residences and schools. The Government Accountability Office sent a letter to Secretary of State Mike Pompeo on April 5 listing its top recommendations for the department. Of the 18 recommendations listed as “high-priority,” eight are related to the security and safety of personnel serving overseas. Pompeo made his mark as a lawmaker on the House select investigative committee as a vociferous critic of security weaknesses that contributed to the 2012 attack on the US consulate in Benghazi, Libya, that led to the deaths of four Americans. He has frequently said safety of US diplomatic personnel is a priority. The State Department concurred with the eight recommendations and reported some steps taken to address them, but the GAO makes it clear that there is still work to be done — even after years of urging the department to do more. 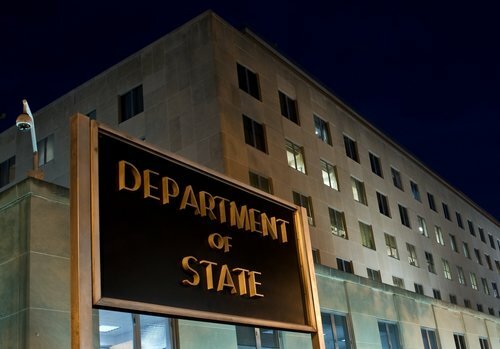 “While we’re pleased that the Department of State implements GAO recommendations at a higher rate than many other agencies — 91% — we would like them to make further progress, especially in several key areas,” Jason Bair, a director at the GAO, told CNN. “For example, nearly half of the recommendations we’ve identified as the highest priority relate to the security of US personnel and facilities overseas. Because they directly affect the safety of US diplomats and their families, we believe they deserve the attention of senior officials at the State Department, including the secretary. Several of these recommendations have remained unaddressed for four or five years, which should make them a key focus of leadership attention,” he said. Specifically, the GAO cites three priority recommendations on physical security at overseas posts that have not yet been fully implemented, including security-related shortcomings at diplomatic residences that were identified back in 2015. “In October 2016, we recommended that State take steps to enhance its efforts to manage such security risks, including by improving its related guidance and developing monitoring procedures. Although State implemented a shared site for reporting and monitoring each post’s armored vehicle fleet, State needs to create consolidated guidance that specifies transportation security requirements to ensure that posts comply with State’s armored vehicle policy,” according to the GAO. In May 2018, Pompeo said the safety of State Department diplomats and their families would be a top priority under his leadership. “I promise I’m going to do everything I can to keep every one of our team members safe,” he said at a ceremony for foreign service officers who had died in the line of duty, their names engraved on the wall behind him. But the issue of safety is complicated, both for the secretary and the agency he leads. During the Benghazi hearings, Pompeo was a vocal critic of former Secretary of State Hillary Clinton’s leadership of the State Department, rebuking her and others in the Obama administration for failing to better protect its personnel and respond to the attack as it unfolded. Many in the diplomatic community believe the House Select Committee on Benghazi’s investigation led to a culture of greater risk aversion in the agency, which has since hampered its efforts. Diplomats in certain posts are forbidden from traveling outside the embassy without guards, curbing their ability to connect with people. In some countries, they’re forbidden from entering certain areas for security reasons. The State Department did not immediately respond to CNN’s request for a response to the GAO’s findings and recommendations.